Wines that are born from inspiration and authenticity. 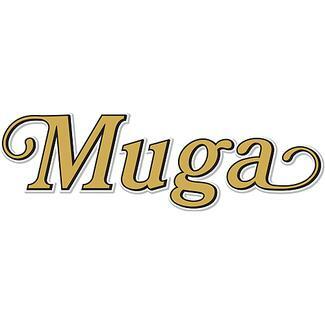 In Muga, we always use the finest materials and are open to new techniques that provide greater quality without losing authenticity. Through the natural process of fining, we eliminate the suspended particles that appear in the wine. We carry out the decanting by the traditional method of gravity. We are the only cellar in Spain with a master cooper and three in-house barrel-makers. 70% Tempranillo, 20% Garnacha, 7% Mazuelo, 3% Graciano. 24 months in barrels with French & American oak chosen and assembled into barrels by Muga’s cooper. 12 months in bottle after egg white fining. A traditional Rioja Reserva, produced from the most important indigenous Rioja varietals.